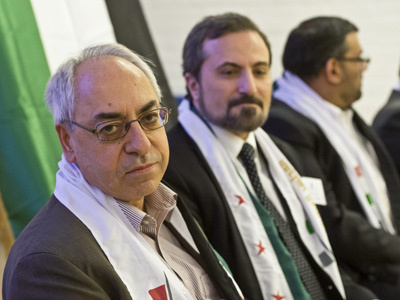 The Syrian National Council, an umbrella organization bringing together a diverse group of opponents to the Assad government both inside and outside Syria, has announced that it is to expand and become more representative. ­The SNC has agreed to include more groups who oppose the rule of President Bashar-al Assad, spokesman George Sabra said on Sunday. The move follows criticism from both within and outside the organization that it is failing in its task to unite the opposition against Assad. At a Saturday meeting in Stockholm, the SNC agreed to expand its membership by 300 to 400 members. “New currents of the opposition will join the SNC. There will be at least five or six new groups from inside and outside Syria,” Sabra said. Each opposition group will be represented by 20 members, and the assembly will elect a general secretariat who will in turn choose an executive bureau, and the SNC’s leader. 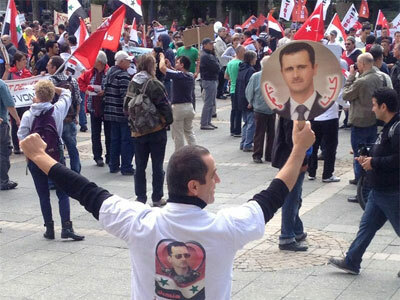 However, there were no plans for the SNC to include the National Coordination for Democratic Change, which supports the non-violent overthrow of the Assad regime and opposes foreign military intervention. 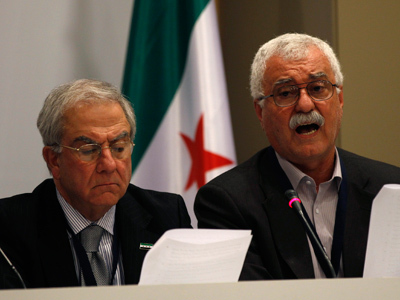 The SNC has faced frequent accusations of failing to fully represent Syria’s fragmented opposition. The organization was formed in August 2011 in Istanbul, Turkey, where it is based. It is supported by the group of nations calling itself the Friends of Syria (the US, UK and France among them), and is recognized by a number of Western powers as the legitimate representative of the Syrian people. The Syrian National Council initially came to be helmed by liberal-minded Sorbonne professor Burhan Ghalioun, whom many thought would be able to serve as a middleman between the West and the Syrian opposition's Islamist factions. However, he soon came to be criticized from all sides. While some accused Ghalioun of giving preference to the Muslim Brotherhood, others charged him with inaction, calling for him to do more to help the Syrian rebels on the ground. Although the Syrian National Council and the Free Syrian Army (FSA) agreed to coordinate their efforts, the two groups largely continued to remain aloof of one another. 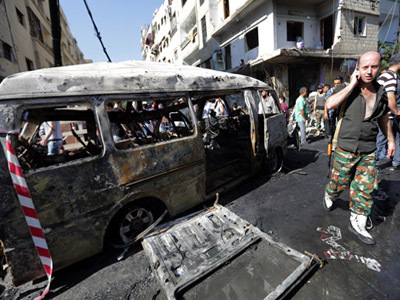 The SNC’s call for nonviolent methods of resistance was hardly compatible with the violent attacks that the rebels claimed to perpetrate. But bridging the gap between the Western-educated academics dominating the SNC’s leadership and the rebel soldiers fighting the war in Syria was not the only challenge for the group. The SNC’s bid to unite the opposition has not been an easy task either. 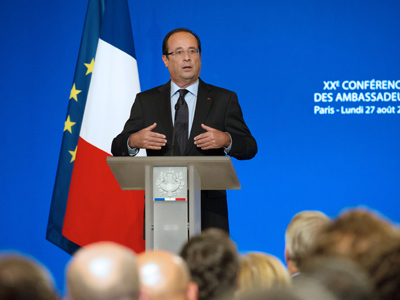 A meeting between various opposition groups held in March was marked by several walkouts. Veteran opposition activist Haitham al-Maleh quit the meeting, accusing Ghalioun of taking too much power, while a delegation from the Kurdish National Council said not enough was being done to address their grievances. Facing increased dissatisfaction over his leadership, Ghalioun resigned from the chairmanship of the organization in May. He was succeeded by Abdulbaset Sieda, an ethnic Kurd, who despite his ethnic origin has not received the support of either the Kurdish National Council or the Kurdish Democratic Party of Syria, as the two main Kurdish Syrian opposition groups accuse him of being too close to Turkey, the country that harbors the SNC. While the SNC initially backed then-UN-Arab League special envoy Kofi Annan’s six-point peace plan, the group wasn't so keen on his proposal for a transitional government, which did not explicitly require the exit of President Bashar al-Assad. 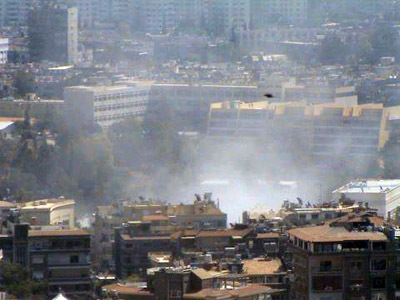 In July, the SNC said the envoy’s peace plan was a failure.